Our last article The Millennial Generation in Law Firms – How to Attract and Retain Gen Ys focused on several aspects of the workplace that appeal to millennials and must be present in order for your firm to avoid the common turnover so prevalent in this generation. According to a Clutch HR survey, 40% of millennials do not feel fulfilled at work. This rate is twice that of Gen Xers and four times greater than Baby Boomers reported. As we noted in the previous article, millennials put a premium on feeling engaged in the work they are doing and want to find meaning in their projects. Feeling a sense of accomplishment is among their most important motivators. Giving millennials ongoing, high-quality feedback and promoting two-way communication in which millennial ideas are heard and considered are critical for enhancing Gen Y employees’ level of engagement with and their loyalty to your law firm. The Clutch HR survey found that 72% of millennials who receive real-time, accurate and constructive feedback from their mentors/managers are much more satisfied. Provide training to all those who supervise others on “adaptive” skills: learning how to give constructive feedback, better listening, empathy, flexibility, resilience, handling stress. Better arming your managers and mentors with these skills will allow them to provide employees with opportunities for professional/personal development as well as to address performance problems. Drop the practice of annual-only performance reviews. Feedback must occur throughout the year. Managers should check in with those they supervise or mentor at least on a weekly basis in person or on the phone. Be sure that all managers/mentors understand and perform their responsibilities for providing feedback and evaluate their effectiveness through 360 feedback. 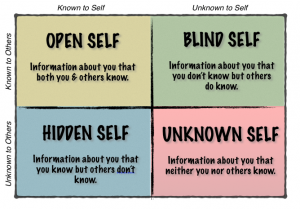 Consider more advanced training in the Johari Window model of professional development which is a tool to develop skills in self-awareness, interpersonal relations, communications and team dynamics. Prepare and ask permission to provide feedback. Never give “drive-by” feedback as it diminishes trust and respect. Do not give feedback in emails or notes. Find a private, neutral location for providing feedback – never do this in front of others. Be sure feedback is accurate, timely and actionable. Keep feedback simple and constructive – don’t make it personal or make assumptions about others’ motives. Leverage associate/employee strengths and take their communication styles into account. Follow the Center for Creative Leadership feedback methodology: (1) Specify the situation. (2) Specify the behavior. (3) Specify the impact. Ask associates and other employees for their feedback – be prepared to hear criticism and constructive input. Millennials want connectivity and the ability to know what is going on at multiple levels of their environments. Key to their sense of engagement is the ability to impact their work and the firm they work for. This requires open and ongoing communication and transparency. The top-down, hierarchical structure so common in law firms will not appeal to most millennials. They want to know what the firm is doing, what its mission is, who its clients are, what those clients are trying to achieve and how they can be involved. Managers (whether of lawyers or other professionals) should make clear what the expectations are for a project: the deliverables, deadline, format, etc. Ask millennials for their views and for suggestions on how things could be done better, faster, more effectively, and respect their input and incorporate their ideas. Create a positive environment that is inspiring and encourages innovative thinking and problem-solving. Involve associates and more junior employees on task forces and committees and incorporate their suggestions. GE is among the top companies in the world in its training and development of employees, particularly its emerging leaders. It also is a company that in the last fifteen years re-engineered itself and positions itself as an innovator and a company that embraces digital technology and all things “lean.” A recent article describes some of the more recent cultural changes the company has undertaken. GE Beliefs: This is the name of GE’s new cultural orientation to help employees adopt the new way of thinking and new operating model. “The GE Beliefs are: Customers determine our success, stay lean to go fast, learn and adapt to win, empower and inspire each other, and deliver results in an uncertain world. 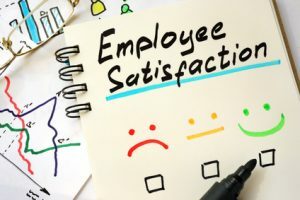 They reflect a renewed emphasis on acceleration, agility, and customer focus.” As evidence of how inviting innovation and two-way communication can have an impact, GE Beliefs were crowd-sourced from employees for the first time in an attempt to drive a culture that their employees wanted to see. PD@GE/Performance Development at GE: As have several other leading companies, GE has changed their performance appraisal process from an annual event to feedback in real-time approach. The company’s software engineers in Silicon Valley developed a new app that aligns employee goals and priorities with ongoing feedback through notes and voice recordings on the app. Managers are expected to have ongoing discussions called “touchpoints” to evaluate progress against goals and any areas of performance improvement, even on the smallest scale. Employees may request or provide feedback at any time however the emphasis is always on coaching and on continuous improvement – the app alone is never adequate. This two-way and ongoing communication is the key to effective performance and more engaged employees. In a future article we will explore in greater depth the unique and highly effective approach GE takes to developing its talent and future leaders.